We're believing for 200 of you to lock arms with us so that we will continue have the opportunity to bring healing and restoration to the young women in Hope Home, as well as engage in the other pillars of our vision to strengthen families and communities in profound ways. It's only through your generosity and this community of support that we are able to impact these lives and change culture one day at a time. Without a firm foundation, we cannot stand, so thank you in advance for whatever you can give! 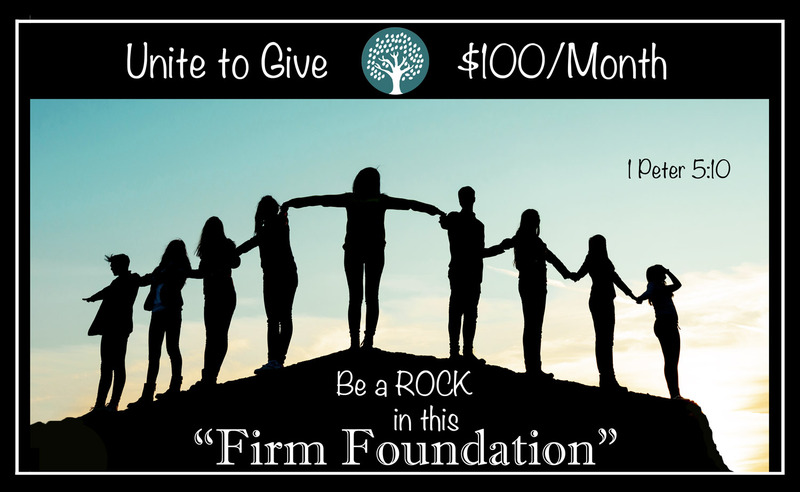 As a "Firm Foundation" member, you will receive periodic personal updates from the young woman receiving your support, as well as a rock with your name on it in our outdoor sanctuary as an expression of our gratitude for being a "Rock" in this "Firm Foundation."